Arrive as early as 10am to Crown Mountain Park in El Jebel, Colorado. The sale will run from 10am-2pm. We will be happy to accept cash or credit cards at this event. RFC will accept credit cards or cash for the purchase of bikes. Bring a helmet, ID, and closed toed shoes for test rides. You keep 80% of the selling price of your bike. RFC keeps 20% of the selling price. You keep 90% of the selling price of your bike. RFC keeps 10% of the selling price. 25% goes to Crown Mountain BMX. Bikes may be checked in for sales from 4:30p-7:30p on May 3rd or from 7:30a-9:30a on May 4th. At 9:30am, bicycle check-in will end. The sale will begin at 10am and go until 2pm. At the end of the day, you can pick up your unsold bike or your earnings from 2pm-3pm. 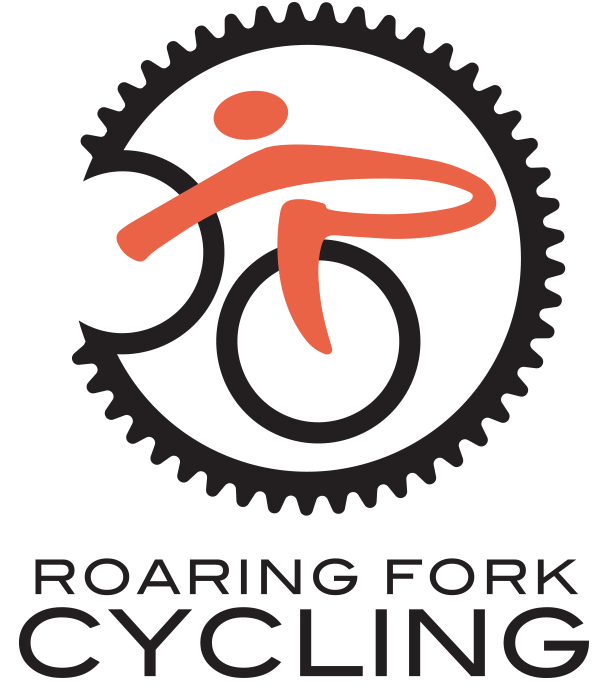 All bikes and funds remaining at 3pm will become the property of Roaring Fork Cycling. 1. 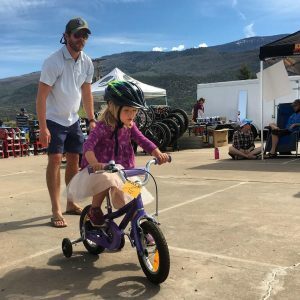 Why do 20% of the sales go to Roaring Fork Cycling? RFC is a non-profit whose mission is to “empower youth through cycling”. We offer free after-school programming for any middle school age student in the Roaring Fork Valley, act as a booster organization for high school racing, and offer affordable camps, teams, and programming throughout the season. This is all made possible by events like the RFC Bike Swap. 2. How can I volunteer to help at the Swap? Sign up for a Volunteer position HERE! 3. What kind of equipment can I bring? If it is a bike, we will sell it for you. 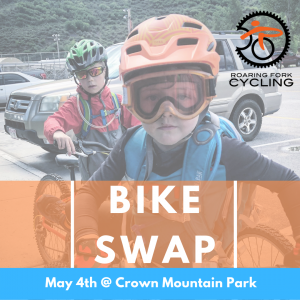 For the 2019 swap, we are not selling table space for people to sell other types of gear. 4. How do I get my bike that did not sell? All unsold bikes can be picked up with your claim ticket from 2:00pm-3:00pm. 5. How much does it cost to get into the swap? It is totally free! 6. Who prices the gear? You are free to choose your own price, but we have expert staff on hand to help you put a competitive price on your bikes and equipment. 8. Does it cost me anything to put my bike in the swap? No – it is free to list. 9. How long does it take to check in gear? Anywhere between 10-20 minutes. 10. Do I have to pick up my unsold bikes on Saturday from 2:00-3:00pm? Yes!  All items not picked up by 3:00pm become the property of Roaring Fork Cycling. 11. Do you accept donated items? Of course! In fact, this is the easiest way to drop off bikes and gear. We will happily take bikes that contribute 100% of the sale towards RFC. 12. When can I expect to receive my money? Checks for your sold equipment will be given at the end of the swap from 2pm-3pm. 13. I did not get my question answered, who do I contact? Please, direct questions to Tyler Durham – Managing Director, at [email protected].